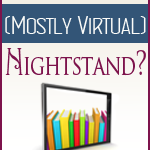 The Night is Mine – Escape Reality, Read Fiction! The Night is Mine by M. L. Buchman has got to be the lightest-weight military-oriented romantic suspense story I’ve ever read, in spite of the number of times the heroine gets injured. What I’m saying is that I found the story to be a tremendous amount of fun, and I absolutely got sucked way into it the first night, but that I totally checked my reality-meter at the door. And I had a wilder ride than any of the chopper pilots in the story! Let’s start with our heroine. Emily Beale is a Captain in the U.S. Army. This is totally believable. And she is a helicopter pilot. Again, totally believable. She is also a member of the 160th Special Operations Aviation Regiment (Airborne) generally referred to as SOAR, the elite unit that transports Navy SEALs and Delta Force teams in and out of covert missions. In other words, she flies in forward combat operations. I want to believe this is possible, but I don’t think we’re there yet. Emily is the first and so far only woman in SOAR. And as the story opens, she and her unit are watching a profile of her that is being played on CNN. In spite of the secrecy that surrounds SOAR, this profile was okayed by “Command”. Because Emily is not just an ace-pilot. Her father is a career FBI agent and is now the head of that agency. And when Emily was growing up in the suburbs of DC, the “boy next door” that she had her girlhood crush on, well he’s now the President of the U.S. The youngest president ever. And no, he’s not Clinton. And Mrs. President sure ain’t Hillary. That CNN profile showed nothing of Emily’s piloting skills and everything about how good she looks in her flightsuit and how well she’s figured out how to cook in the desert with minimal supplies. Someone back at CNN turned it into a girlie “puff piece”. Emily is so pissed she shoots the laptop her unit used to watched the profile. The crew buries the laptop with full military honors and gives Emily the tiny flag. 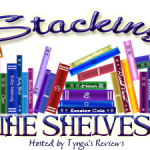 After the profile runs, Emily gets mysterious orders to report to an aircraft carrier in the Pacific Ocean, which is not where she wants to be. After two months, she’s finally earned her place in SOAR as just another pilot, albeit a damn fine one, and that’s how she wants it. All she wants is to fly helicopters. All she wants is to fly. The DC political social whirl is not for her, even if it is the air her mother breathes and the water she swims in like a shark in an aquarium tank. Emily’s sure her mother is behind all the machinations as a move to get Emily back to DC and out of the military. Somehow, someway. But Emily’s commanding officer, Major Mark Henderson, sees Emily’s mysterious orders and becomes even colder to her than she thought possible. Emily’s never quite been able to live up to the Major’s expectations of her, as a pilot or as an officer. She’s worked all the harder for it. Little does she know that the problem is completely different. Mark Henderson has been bending over backwards to treat her just like any other officer, because he can’t see her as anything except the one woman he wants more than any other. So he’s just a tiny bit colder and more distant than he needs to be, to keep himself under control–because he barely has any. And one misstep will cost them both their careers. But Emily’s orders are not her mother’s doing. The former “boy next door” is now Emily’s Commander-in-Chief. He’s calling on his best friend to come back to DC and protect the First Lady from repeated, but so far unsuccessful, attempts on her life. Emily is the only one the President trusts. So Emily goes back to Washington, to the world she left behind, to help her best friend. But President Peter Matthews, back when he was just a Senator, broke her heart when he married another woman, even if he didn’t know it. And he’s breaking her heart again by taking her away from the life she loves, to save the life of a woman she really doesn’t like very much. And just before she gets on the flight that whisks her away, her commanding officer kisses her goodbye. For real. And Emily nearly breaks his hand and walks away. So he follows her to Washington, and fakes his way into her secret mission. Then the real fun begins! Escape Rating B: I started reading this one night at about 11:30, and 150 pages later I was telling myself that I really, really needed to get some sleep. I didn’t want to shut my iPad off; but this is a 400 page book, and finishing wasn’t realistic. I’ll admit I thought about it. As a character, Emily is a little too good to be true. She’s not just an ace pilot, but all her commanders say that she’s the best they’ve ever seen. Her dad being head of the FBI and her childhood friend being President are both integral to the plot, but it stretches belief. DC may be a company town, but that level of connectedness smacks of a Tom Clancy novel. I will say that Clancy’s aren’t quite this much fun. What The Night is Mine reminded me of most is Stargate SG-1 fanfiction of the Jack and Sam persuasion. It has the same flavor and the same problem to solve. This is not a criticism, I like Jack/Sam SG-1 fanfic. The issue is that both are in the military, they are in a commander/subordinate relationship and they have to deal with the military frat regs. 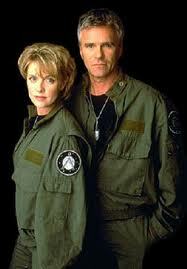 Jack and Sam are even both pilots, they just happen to be Air Force instead of Army. Faking a relationship for a covert operation that turns real is one of the tropes. A fun story is a fun story. 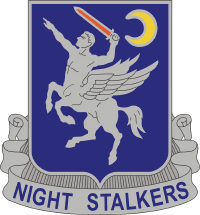 The Night is Mine is the first book of the author’s The Night Stalkers series. 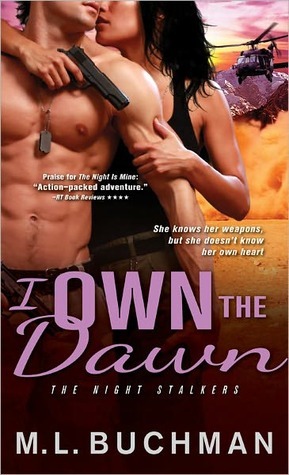 Book 2, I Own the Dawn, will be out in August, 2012. A couple of my nights were M. L. Buchman’s thanks to The Night is Mine. Looks like a couple of nights in August are pre-booked.